Give your home a new look or improve security and energy efficiency with our sophisticated range of PVCu and Aluminium windows. 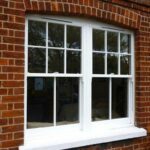 Our windows are suitable for any property; new or old and even cottages, character properties and period homes. 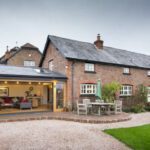 Aspire Bifolds are window experts providing an extensive range of five different suites of windows each providing differing aesthetic solutions, but all having premium design, security, weather performance and style. Helping you Choose between PVCu or Aluminium windows. Every home is different which is why we provide a complete range of Aluminium and PVCu windows. Aspire Bifolds enhance your home with cutting edge aluminium windows with unique design features and the finest in craftsmanship. Or why not choose our unique ultra slim, contemporary windows that replicate the classic lines of old metal windows? Our PVCu windows provide a broad range of options for your home. 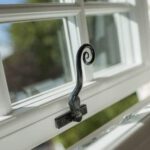 Choose from affordable slim sash windows or the ultimate in authentic timber look PVCu windows with all the classic features of period wood windows such as fine finishing, period hardware and traditional joinery techniques in their production. We can help you make the right choice of window so that you have the peace of mind of premium security, superior weather performance and a window that is built to last. All of our windows are low maintenance as well with impressive U Values or the latest in A Window Energy Ratings. You can create standard windows, curved, gabled or shaped windows and even large span picture windows. Our entire range of quality windows work with your property style, and we can even cater for properties in Conservation areas as well. All our windows come with double or triple glazing options. We believe the Origin aluminium window is the finest aluminium window on the market. No other window comes with a 20-year guarantee, trusted Yale locking, colour coordinated window handles and advanced weather performance. Better still, Origin windows are the only aluminium windows on the market with a unique flush casement giving you both a traditional window and a highly contemporary one as well. AluK aluminium windows are tried and tested high-performance windows that give you real design choices. Choose from traditional chamfered, ovolo, sculptured or flat contemporary frames and sashes. You can even choose super slimline windows and even those that replicate original steel windows. No other aluminium window provides the choices of AluK in a quality aluminium window for the home. 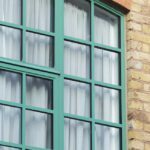 Aspire are your local steel window replacement specialists. Our Smart Systems, Alitherm Heritage 47 suite of aluminium windows is one of the finest aluminium windows you can buy, specifically designed for the replacment of old steel windows. A beautiful suite of aluminium window avaialble as fixed, casement opening, pivot or reversible windows. There are even matching steel replacement doors in aluminium as well. The superlative suite of Residence 9 windows is the most luxurious of PVCu windows. Classically crafted, beautiful to look at and feel, Residence 9 provide you latest generation windows with all the aesthetic appeal of 19th Century timber windows. Residence 9 is one of the most beautiful windows in PVCu available and truly needs to be seen to be appreciated. The Smart Systems range of aluminium windows is one of the most popular in the UK today. 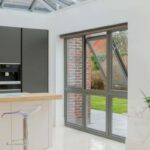 Available in a wide choice of styles, designs and colours, Smarts Aluminium Windows are the very latest in modern aluminium windows designed to be functional, beautiful and remarkably slim. We can even offer the authentic Smarts Alitherm Heritage 47 window – one of the best aluminium windows for the replacement of old steel windows. Alitherm Heritage 47 is a secure, thermally efficient and weather resistant window with all the fine details found in period metal windows. Alumatherm Aluminium Sliding Sash Windows. Our Alumatherm sliding sash window is an exceptional sliding sash window, with all the advantages of thermally insulated, powder coated aluminium. Alumatherm vertically sliding sash windows come in a choice of modern or traditional designs, give you the largest possible sliding windows when needed. 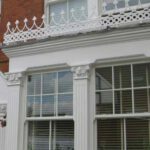 We can even provide you with aluminium sliding windows having all the period features and hardware associated with classic sash windows. Roseview Heritage PVCu sash windows. Our award-winning Roseview Heritage PVCu sliding sash windows are one of the most authentic windows on the market to replicate all the period features of classic timber sash windows. Roseview Heritage sash windows feature traditional corner joints, sash horns, slim meeting rails, deep bottom rails and many other features of timber windows. All the beauty of a classic sliding window in the latest energy efficient, secure and functional PVCu materials. 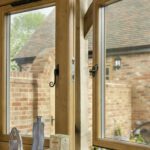 Flush casement windows add a new dimension to your home replicating the traditional 1930’s flush casement timber window with all the benefits of modern double glazing. Ideal for classic looking windows that are low maintenance, sleek in appearance and A+ Rated. An affordable window for your home with a flush finish to the outside, flexible glazing options, colours, finishes and handle options. Our British designed Linair PVCu windows are guaranteed to improve your home with quality, secure, weather-resistant and affordable windows. Our Liniar range features the best in A Rates windows in a choice of colours, styles and opening options. You can even integrate them with doors, to a conservatory or as part of a new porch. 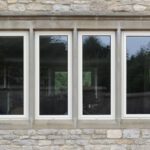 Liniar windows are one of the best PVCu windows you can buy today. The latest generation ‘warm aluminium’ window with exceptional U Values and energy efficiency. Aluframe windows are another unique flush casement window with a choice of frame and sash profiles, premium manufacturing and with one of the finest paint finishes amongst aluminium windows. Aluframe windows are complemented by matching tilt and turn windows, feature mullions and are suitable for traditional and modern homes. Aspire provide the complete window solution for your home. No other home improvement company in the South London and Surrey areas gives you the choice of PVCu and aluminium windows from more than nine different ranges. Whatever your property, budget and requirements, we can help. Contact us today for the latest in advanced windows giving you premium grade materials and the very best in comfort, value, style and security.